Here we have collected some of the best Hindi Ganesh Chaturthi Shayari. 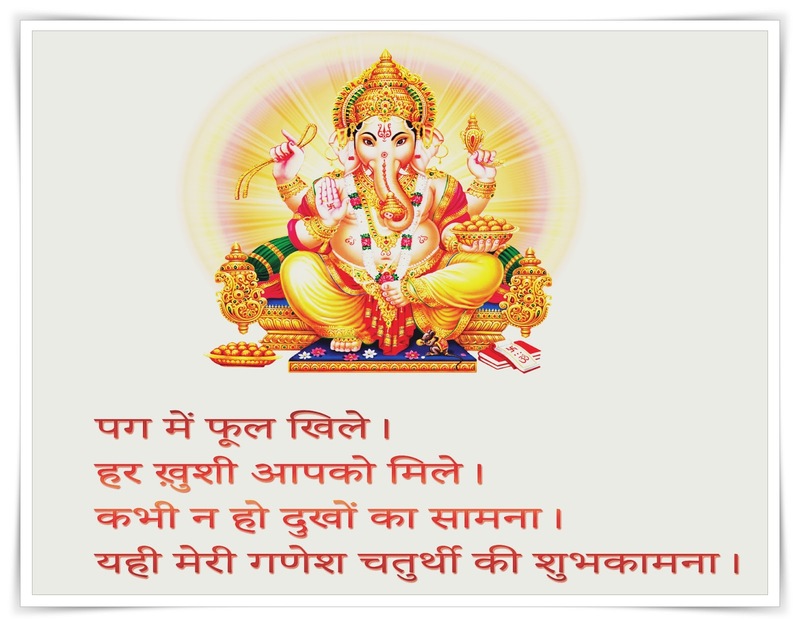 This is a unique way to wish Happy Ganesh Chaturthi in Shayari style.You can share these shayari freely on Whats App,Facebook,Google+.Hope that you will like this collection of Ganesh Chaturthi Shyari. Please comments your response , as it help us to improve more. सबके दिलों को सरूर मिलता है..
Humne tahe Dil se ye paigam bheja hai. wo hai jay GANESH deva humare. साँस-साँस में राधा बसे, रोम-रोम में श्याम. मेरी भी हो, आपके ख़ास भगतो में गिनती. हमारे हृदय में ” श्री गणपती ” सदा करे वास. Khushi Aap Ke Liye Tarse.